The President of the National Olympic and Sports Committee paid a courtesy visit to the Ministry of Sports and Physical Education on Monday June 18, 2018. The Minister of Sports and Physical Education, Bidoung Mkpatt, granted audience to the President of the National Olympic and Sports Committee, Kalkaba Malboum, on Monday June 18, 2018 in his cabinet. Speaking at the occasion, Kalkaba Malboum said the Minister of Sports and Physical Education called him to share ideas. He said it was a good meeting because he faced problems with the Association of African Olympic Committees of Africa (ACNOA) elections in Djibouti last year in which he was sanctioned unjustly. He has now been cleared by the Court of Arbitration for Sport (CAS) and he reported to the minister. Kalkaba Malboum said he is committed to support the sports movement in Cameroon to save the hounour of Cameroon and he counts on the support of the Minister. 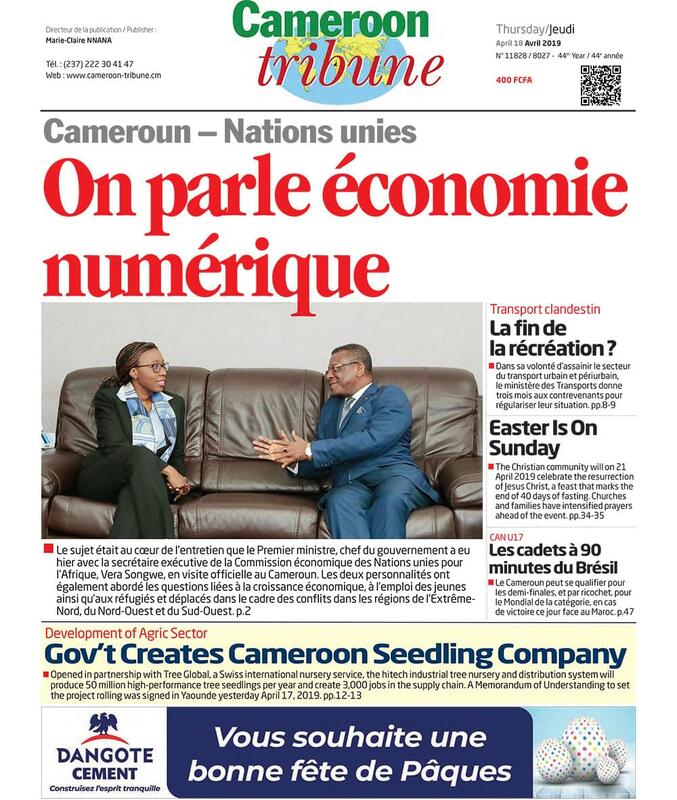 He said a new page of collaboration has now been opened for the interest of Cameroon so that Cameroon which is a great sports nation can benefit from both parties. Earlier, Minister Bidoung Mkpatt said with the lifting of sanctions against Kalkaba Malboum by the CAS the Ministry of Sports and Physical Education will renew its relationship with the CNOSC and together the two parties will work together for the promotion of sports in Cameroon. The Minister praised Kalkaba Malboum for his dynamism and creativity in the Cameroon sports movement. He assured the President of the National Olympic and Sports Committee that the Ministry will give him all the necessary support for the development of sports in Cameroon.